Where does money come from? Where does it go? Who makes it? The money magicians' secrets are unveiled. We get a close look at their mirrors and smoke machines, their pulleys, cogs, and wheels that create the grand illusion called money. A dry and boring subject? Just wait! You'll be hooked in five minutes. Reads like a detective story - which it really is. But it's all true. This book is about the most blatant scam of all history. It's all here: the cause of wars, boom-bust cycles, inflation, depression, prosperity. Creature from Jekyll Island is a "must read." Your world view will definitely change. You'll never trust a politician again - or a banker. G. Edward Griffin is to be commended for this splendid work. At first glance The Creature from Jekyll Island is a huge book. While this may be daunting to some, once the book is actually started, it flows smoothly and reads quickly. There are so many fascinating tidbits of information here that the reader won't even be concerned about the size of the book. 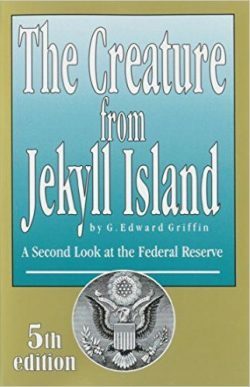 The title refers to the formation of the Federal Reserve System, which occurred at a secret meeting at Jekyll Island, Georgia in 1910. It was at this meeting, as Griffin relates, that the "Money Trust", composed of the richest and most powerful bankers in the world, along with a U.S. Senator, wrote the proposal to launch the Federal Reserve System (which Griffin calls a banking cartel) to control the financial system so that the bankers will always come out on top. The biggest problem in modern banking, according to Griffin, is and has always been the creation of fiat money. Fiat money is money that is "declared" money by the government. It is not backed by anything but promises and deceit. All societies were sound financially when they used gold or silver to back their currency. When the bankers finally get their way and install fiat money, the result is inflation and boom and bust cycles. Griffin gives numerous examples of this, such as repeated failures by American colonies and European states in using fiat money. 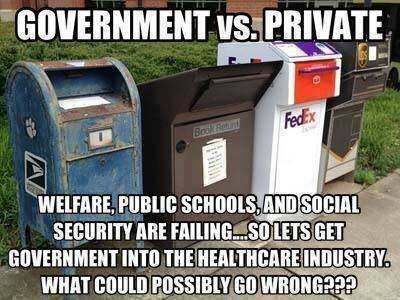 The purpose of fiat money is so that the government can spend more then they take in through taxes. Without writing reams on this book, it is sufficient to say that this is a must read for anyone who is interested in learning how the money system operates. Griffin gives comprehensive accounts of how the Fed creates money, and how this affects everyday life. I would have to say these sections are better than Murray Rothbard's book, The Case Against the Fed, because Griffin gives himself more room for explanation. Griffin does believe in the conspiratorial view of history, and he believes that the bankers are working in concert with such groups as the Council on Foreign Relations and the Trilateral Commission to bring about a socialist-world system in which an elite composed of intellectuals and bankers will rule over the entire planet. Griffin even spends a chapter outlining how this system could come about, and the consequent results of this socialist system. These chapters are a bit unsettling, but even if you aren't interested in this worldview, you can still learn much about the economy from this book. Thankfully enough, the author offers detailed ways of how we can recover from the banking and financial mess that we find ourselves in today. It would be tough for any politician to go down that path but we're hoping there's one out there that has the courage to do what is right and needed.